Lately I have been changing up my bread tempo, so to speak, and I wanted to share these thoughts with all of you dough lovers out there. I find that my baking style is different the last few months. 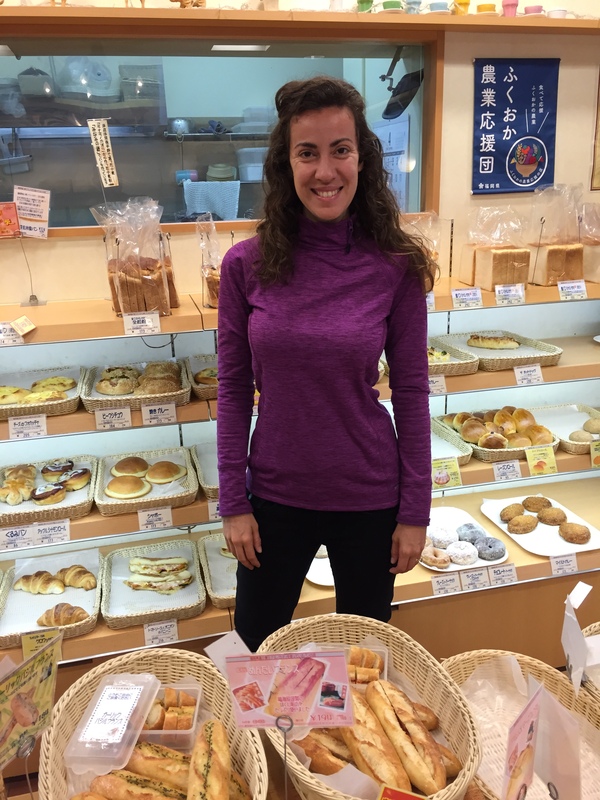 I am not sure if it is because I am baking more, or using different grains, or got a new oven, or travelled to Japan and ate a (heck of a lot) different bread over there (seriously, it’s an incredible country. If it isn’t in your top 5 places in the world to visit, I seriously recommend rethinking your list). Obviously, there are a lot of factors. One thing I am sure of is that I am happy with the process. The end result isn’t always great, to be honest I get frustrated more lately, but I suppose that’s why I keep on trying. I mean…isn’t that what Chad Robertson must have done when he started out? Oh yeah, it must be! I can just imagine him in his kitchen at home, playing with dough, and texture, and hydration percentages. He couldn’t have had everything perfect from the get-go, right?! Ugh. I hope not. Because if he did that means that I have a looooonnnnnngggg way to go, my friends. Perhaps it will help if I get the weaknesses out on paper…errr, text. That way, it is all out in front of me, and I’m not holding it all in. Repression in baking is never a good strategy. Out with the old, in with the new. If any of you bakers out there have any tips or words of wisdom for me, I am all ears! Scenario #1: I just ended a 4 hour initial proofing, and into the fridge they go for the night (a total of 17 hour ferment usually or more). In the morning, I take them out and let the loaves rise for upwards of an hour while my oven is pre-heating, combo cooker as well, to 590 degrees. I shape the loaves after an hour, dust my combo cookers with rice flour, place the boules into the cookers, and score them. I then place these loaves into the oven for 29 minutes. After the initial minutes are over, I take the lids off of the combo cookers, lower the oven temp to 475, and set the timer for 30 minutes. Usually I get an extra crispy (sometimes too brown crust), but the inside can sometimes be too moist. This is conundrum number 1. Tastes unbelievable, but my customers are often frustrated that the center could be slightly more cooked and the outside less crisp. What would Chad say? After searching through a mound of Tartine books, or The Gospel According to Chad, as I like to call them, I think he would probably surmise that it’s my new oven that is causing the challenges, and that I just need to get more friendly with it, in order for me to see more consistent results. Well, funny you should say that, Chad, because I actually baked about 10 test loaves at different temps with that very same thought. I have concluded after much practice: I don’t think therein lies the answer. But…that said, if any of my readers have any experience with baking in a Bosch oven, please let me know. We had a Fridgidaire our first year here, and it was excellent, but it quickly konked out. Too much baking! Scenario #2: Could it be the hydration? I have been baking for over a year now, and I stay pretty consistent with my hydration percentages. Usually I am at about 85-90% hydration. In the beginning, I thought perhaps that was too high, so I lowered it to 75% (since that’s what Chad and other bakers suggest when you are first starting out), but that yielded tough dough and it still wasn’t cooking through. I have tried longer auto-lysing times and proofing times, which I do think helps, but I still have a bit of trouble with the “doneness” factor. Hmmm. I study books, I ask questions of those favorite bakers of mine that I follow on Instagram, I keep practicing. Some days I get this gorgeous loaf, with a great oven spring, totally cooked through. Usually this is when it is just for us. If it is for someone else, maybe it isn’t as stellar. I guess that’s just part of the challenge! Scenario #3: The Starter. Lately I have been playing with my sourdough starter a bit. I was just using regular old Bob’s Red Mill Organic Hard White Wheat for some time, maybe 6 months. That was getting me very good results. But then I started wondering: if I used the more nutrient dense grains like spelt and teff, would my loaf ultimately be more nutritious? Since the yeasts would be taking on more life, so to speak? So lately I have been adding some teff into the mix each day. And YES, it certainly does change the taste and give it more of a “wow” factor! And since teff is highest in iron, I feel like I am helping my customers that much more by giving them even higher nutrition. That is a great feeling! I should add though that because teff is extremely high in vitamins, it is therefore extremely active, so it must be fed more regularly, or it can grow thin and sour faster than others. It also creates more “hootch” on the top of the yeast. I always pour that off, because to me it is too acidic, and doesn’t lend to great flavor. Nancy Silverton may disagree. I believe I read in one of her books that she mixes it in. Hey, to each their own! Whatever works for you! At the end of the day, the reason I bake becomes clearer and clearer to me. It poses a challenge for me. A puzzle, if you will. Because I may fail a few times on my way up that mountain, but when I get up there, to the summit, the peak, I am stunned by the utter beauty of the view. Awestruck is the word. And I suppose that is what makes all of the questions and the time spent worth it. I mean, isn’t that what life is all about? We struggle, we may fail, but ultimately, we will succeed if we take action and are determined to figure out the “how” and the “why.” There is a Taoist saying that comes to mind, “there is no such thing as a straight line in nature.” Whether it be baking bread, or studying for a big exam, or teaching your kid how to ride a bike; it will never be easy. It is impossible, according to Taoist thought. Not to be Debbie-Downer, but it’s true. The challenge is where the stress can often be. The feeling that you want to give up. We have all been there. But it can also be a reminder to breath, to stay present, to accept, and most importantly, to keep on baking. My latest boule. Very happy with the inside. Crust is a bit dark, but definitely tasty. 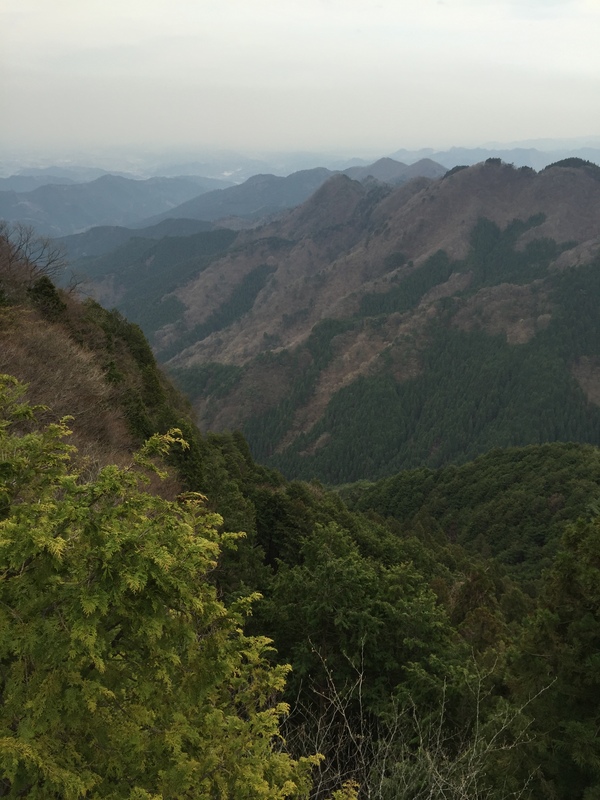 The view from Mount Otake in Japan. Unbelievably beautiful. K’s Oven in Fukuoka, Japan. the Japanese know how to eat! But they are a bit heavy on the sugar in their breads for me, personally. 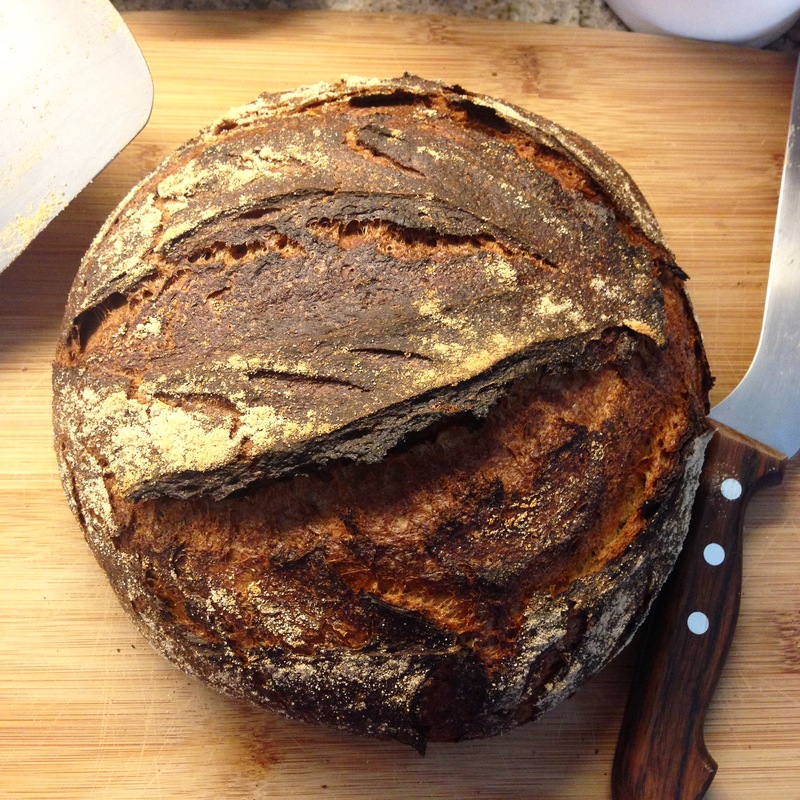 Although, Chad Robertson just opened a Tartine Tokyo last week, so I am sure the sourdough spark will ignite quickly, and there will be many new bakers!